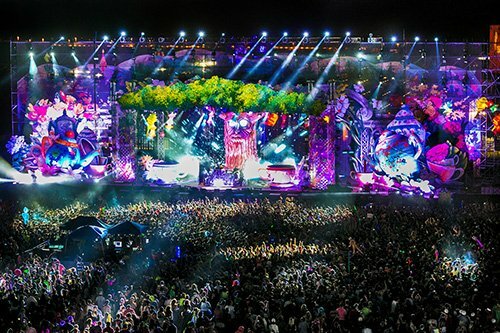 While Insomniac Events had a busy three days over the weekend that saw this year’s EDC Las Vegas come to realization, the major promotional company is wasting no time on gearing up for their future festivals. 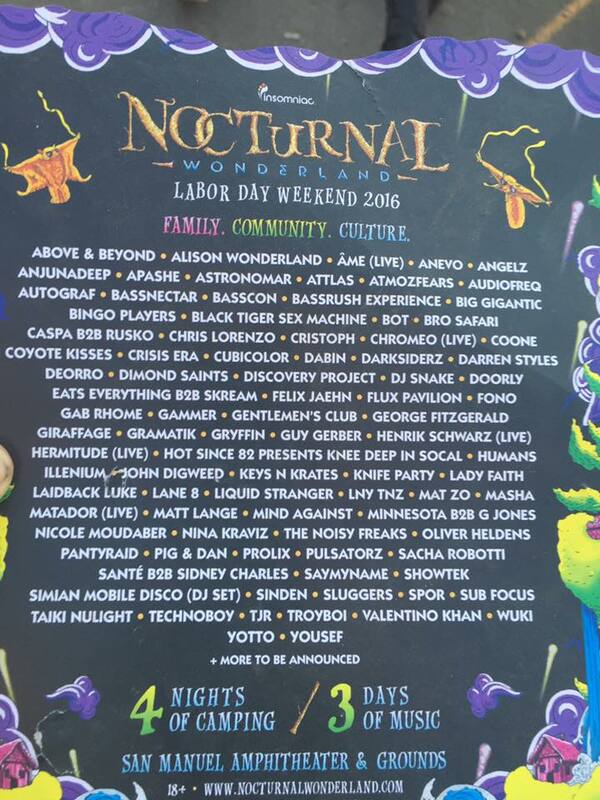 Last night, promotional flyers began to make their way around the festival grounds at EDC with a huge announcement printed on them; the lineup for Nocturnal Wonderland 2016. The roster reveals major talent like Bassnectar, Alison Wonderland, DJ Snake, Oliver Heldens, Above & Beyond, Knife Party and more. The poster also notes that there will be a b2b set with Caspa and Rusko, which should be a major attraction for bass music fans. The announcement was dropped as a total surprise, but having the crowds at EDC Las Vegas be the first to get the news should provide some effective hype for the lineup. Nocturnal Wonderland boasts three days of music and four nights of camping, all slated to go down over Labor Day weekend at the San Manuel Amphitheater & Grounds. Tickets for the upcoming festival can be purchased here.